Berger v United States, 295 US 78, 88 (1935). 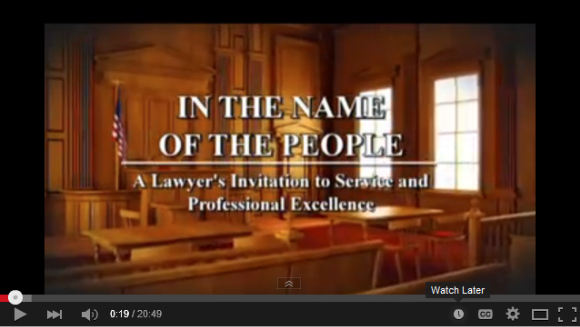 To learn more about a career in prosecution, please watch the following video. Also, for students having completed two years of law school, please consider a paid internship at a prosecutor’s office. You will practice law and oral advocacy. You will be given in-court assignments otherwise handled by assistant prosecutors. You will see the inner workings of the criminal justice system. You will be paid a salary of $5,500.00 for 11 weeks of work. Why are we interested in you? We seek to expose law students to prosecution as a career opportunity. We seek to provide extra summer help for county prosecutors. Law students looking for a unique summer work experience. Law students who will have completed 40 credit hours of law school by May 16, 2017. Michigan residents or students who intend to practice in Michigan upon graduation.